Lovely sentiment. But it’s a lie. If you love what you do for work, it sure makes it more meaningful and enjoyable … but it doesn’t change that it is still work. This is as true in art as it is in any field. I am so overwhelmed with gratitude that I get to write, and that I even get paid to do it. And I know some people will negate what I say next by claiming writing is privileged work. Maybe it is. I don’t know. Maybe it is just for some people and not for others. I certainly don’t mean to whine or complain. I merely want to say that art is hard work. So hard. Harder than any job I’ve ever had, scarier than any job I’ve ever had, emotionally draining unlike any other relationship in my life. Sometimes it feels impossible. Sometimes it feels like it might kill me. Art has sent me into therapy, required medication. Nothing in my world has thrown more resistance at me than art, my own art. I’ve just needed to toss these thoughts out into the universe for a little while, and so now, tonight, I am. Thanks for listening. Thanks for trying to understand, even if it sounds silly to you. Now, tell me about you. What part of your life throws the most resistance at you, friend? Is there anything better than a glass of cold milk? Okay, probably. But right now it’s rocking my world. I’ve been reading like a maniac. I just finished four books. Two reviews are up: Underwater (review) and In A World Just Right (review). The other two are forthcoming. Plus I started another book, Exquisite Captive by Heather Demetrios. It feels really good (and healthy!) to be reading a ton. I’m working on my 2016 creative goals. I especially want to tackle what’s behind door #6 (a pruned TBR shelf). I think this upcoming weekend, I need to do another round of culling the shelf. Plus, of course, all the reading helps move books from my TBR shelf to my beautiful full-wall bookcase. Rock and roll. To that end, I’m being super selective in my book purchases lately. As you know, I pre-ordered a handful right after Christmas; now that Crooked Kingdom by Leigh Bardugo is available for pre-order and MELINA MARCHETTA’S NEW BOOK (Tell the Truth, Shame the Devil) is available too, I’ll place orders for those. My gosh, I don’t think she’s put out a book since Quintana in 2012, which honestly feels like forever ago. Even though this an adult mystery (instead of her usual YA contemp or YA fantasy), it doesn’t matter to me. I’d read her grocery lists. Just finished my glass of milk. Dang, that was good. I want to be a better blogger. Not sure yet what that will look like. I’ve been PLOTTING. This might come as a shock since many of you know that I abhor plotting, but this has actually been sort of fun. I think it’s mostly because I already mostly knew what was going to happen and what needed to happen and got to hammer it out in a spreadsheet, of all things. Plus, I’ve been doing lots of brainstorming and research, and I’m excited about my ideas. Nothing like spending hours on Pinterest and getting to call it work! Now to write. I’ve been avoiding my manuscript for over a week now. That is not good, nor is it like me. But we had this exhausting weekend of work, and afterward I just needed to rest, and before you know it, my rhythm is all off and I’m terrified to dive back in. It’s like, as long as I write five or six days a week, I’m the queen of double dutch. But once I stop for a couple days, I’ve bounced out of the ropes and cannot figure out how to jump back in. Does that analogy work for you? I know I just need to do it, no matter how sloppy it is. I’ve been sick. I’m desperately trying to save up PTO to take a writing retreat (see 2016 creative goals, door #4), but I just had to blow it all this week. Ugh. Starting over. In case you missed it, my next novel is not coming out till summer 2018 now. I feel GREAT about it … until I go on Twitter. I really should not go on Twitter. It is a dark place for me. I wonder if I will always, always struggle with comparing myself to other writers. That’s the scoop from my sick-couch! Pray I am better by tomorrow morning. I have to be. The stress got bad, friends. Really, really bad. My chest was so tight. It hurt to breathe. I would wake up panicking. I went back to my therapist. I made another appointment with my psychiatrist. But when I felt like an elephant was standing on my chest, I went into the doctor. They don’t play around with this stuff, especially when one’s father has had triple bypass surgery. I had an immediate chest x-ray and an EKG. I just tried not to cry. But things are fine. I mean, mostly. My x-ray was fine; my EKG was … fine-ish. My doctor felt satisfied with it, but she still wants to run it by a cardiologist. It’s just stress. Damn. Isn’t it wild what stress can do to our bodies?? She and my therapist both said: focus on breathing. My doctor also said: laugh. It will open up your chest. Breathe and laugh. I can do that. Right? Even my editor told me to rest a little. That part seems easy enough. All I want to do is sleep. I think I might have some depression issues going on or else maybe this how I get every winter. -40 degrees does little to contribute to breathing or laughing or being joyful. But– a bright spot– I am reading this tremendous book, The Anatomy of Story by John Truby. I’m only two chapters in and it’s sort of changing my life. It’s such a beautiful, deep, thorough way to look at writing a story. It helps that I’ve been thinking of my story and these characters for about a year and a half. It would maybe be overwhelming to use this book to drum something up from scratch, but this way, it feels really productive and thoughtful. I’m loving it and highly recommend it so far. I really wish that I could just take a month off of work to take care of myself. But that’s not an option, so I have to work self-care into the nooks and crannies of life. I need to breath, laugh, and rest. Love that prescription! I wanted to write a little post about writing with an anxiety disorder. I understand that what I’m about to say might sound ungrateful, especially to writers who would give anything to have a book contract. I hope you can take it for what it is: my honest thoughts. I love my editor to pieces. And I love HarperCollins. This post is not about them. It’s about anxiety as a writer, which exists regardless of editor or publishing house. I repeat: this is not about my publishing house. This is about my anxiety disorder. I have obsessive-compulsive disorder, an anxiety disorder that has been well-managed since 2008 when I underwent intense exposure therapy. In the first year and a half after exposure therapy, my obsessions and compulsions dwindled down to zero. Nothing. Nada. It was this rush of freedom that I hadn’t experienced since I was a child (no really– my OCD kicked in around age seven). In the years after that, it picked up a little bit, but nothing like it used to be. It was probably a little foolish to think that anxiety was behind me. In 2012, I started writing the novel that would become my debut, Truest. I had a blast writing this novel– there was no pressure, no deadline. I loved (and still love) the characters and the themes I dove into, and there was no timeline for the book to take shape. If it took four years or five or ten, it was all good because I had a full-time job and was writing for pleasure and passion and calling. It ended up taking about a year and a half, at which point, I queried literary agents. I was lucky enough to be offered representation within a month or so, a tremendous blessing as querying can sometimes be long and torturous. (And actually, it still felt long and torturous.) My agent is incredible, and he found a home for Truest with HarperCollins only a couple months later, a two-book deal. I was over the moon for this opportunity and still am. I got my book deal on a Wednesday in November. Two days later, I talked to my (now beloved) editor for the very first time. That night, I had my first panic attack. In the words of Kurt Vonnegut, And so it goes. The anxiety that followed in 2014 was so intense and unexpected and alarming that I ended up back in therapy, although not for OCD-related anxiety but for … writing-related anxiety? Was that even a thing? Apparently, for me, it was. And is. But I battled through it. I cried a lot. I experienced enough panic that I got a prescription for it. I was meeting with a therapist every single week. I prayed. A lot. I had hard conversations with my editor, who was receptive and brilliant through it all. In the end, I had a polished book: Truest, which came out in September 2015 on one of the proudest days of my life. I love Truest. It’s the book I was called to write, and I stand by the decisions I made. I’m so delighted that readers have enjoyed it and that it’s been thought-provoking, something that’s really important to me. It was probably foolish to think the anxiety was behind me. It was on my heels. It is on my heels. It whispers to me that I’m worthless, that I don’t know how to write, that I’m not cut out for this life. And, to be strictly honest, I’m not at this exact moment sure whether I am or not. Not for writing. I love writing and will always write. But for the life of publication. I’m not sure if I’m built for that life. Writing my sophomore novel has not been the same fun, carefree experience of writing Truest. There are deadlines– and even though they are sometimes flexible, there is a real horror in that flexibility too (What I mean is that there is this fear that you will never produce something of publishable quality again … and so the deadline is perpetually extended, and that obligation is perpetual … is that not its own form of hell?). There’s money that has exchanged hands, and so there is a figurative and literal debt hanging over you. There’s this overwhelming blank slate: my editor bought Truest after reading it, but she bought novel #2 sight unseen, so there’s not that same devotion to it, not that same buy-in, not that same feeling of I-love-this-particular-work-and-want-to-publish-it. It’s like trying desperately to create something that will capture the publishers in the way your first novel did … except that your second novel can’t be too similar to your first. So now you have this request to write something distinctly separate from the novel you know your editor liked … something distinctly separate but something your editor will like regardless. It can feel like living in a paradox. It can feel like you’re a performing monkey. 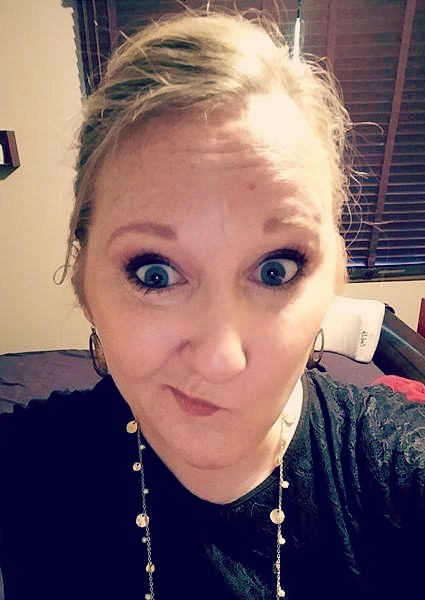 And when the anxiety ratchets out of control, you might even find yourself resenting writing under contract … you know, that contract that you wanted all your life, the one that made you feel like you won the lottery, the one that you’re still so desperately grateful to have with a publishing house that’s a giant. A giant … and you feel so small, and your books feel so small, and your fear seems so huge. And you think, Oh my gosh, I’m in Honey I Shrunk the Writer: a world and career so much bigger than you feel you could ever be, and the shame and anxiety and pressure and stress just pile up more and more and more. You wonder: am I the only one going through this? I asked around, found out that several of my writer-friends had some of the same experiences with their second books too. I don’t know if they also deal with anxiety because they seem to handle it a thousand times better than I do, but maybe that’s because I have a blog that straddles the line between vulnerability and TMI. But the bottom line is this: I love to write. I am called to write. So I will write. Will I always write as a career/for publication? Who knows. I’m learning and growing with every experience. Ativan helps. Therapy helps. Prayer helps. Hearing from readers who love Truest helps. Having an editor with a huge heart and a whip-smart mind helps. Having a team of best friends and encouragers helps. Experience helps. In the grip of depression, anxiety, and perfectionism last week, I asked for a pep talk on Twitter. @jackieleawrites I’m listening to BIG MAGIC by Elizabeth Gilbert and to like 4 hours of pep talk so far. It was really what I needed to read. Seriously. @McRouth basically bawling my way through Big Magic. I listened to the audiobook, and I’m so glad I did because Elizabeth Gilbert’s sweet narration was like being mentored by a big sister in the arts. This isn’t really a review, per se, just a few of my thoughts on the book. This is huge to me. I just read an article about the same thing. (It’s right here and well worth the read!) This article said the question to ask is: How do I choose to suffer? Basically, what is worth suffering for? Writing, I believe, is worth the suffering. Writing is worth it, even without success. But it takes courage and enchantment and faith. I want to cultivate those things in myself. I know I’ve been spewing on this blog since last night, but I have a hundred million emotions, and I haven’t been blogging, so in some ways, these hundred million emotions have been locked up inside me, and I need to get them OUT OUT OUT. I’m a mess, to be honest. So, lately I’ve been a little (or more) stung when one of my favorite authors has really been slamming the whole “pantsers” process. For those unfamiliar with my terminology here, it’s a term you hear in the writing word: some are plotters (they plot and plan prior to writing a book) and some are “pantsers” (they write by the seat of their pants). I write my first drafts as a pantser. It’s the only way 1) I know how and 2) I can. I’ve tried to plot before, and then I lose all the energy around the project and can’t even start it. Anyway, this writer I really admire has been really shredding the pantser process, saying that you can’t write a life-changing book that way. In addition, this other blog I follow and really respect said much the same thing. It’s hard not to feel attacked, even though obviously these posts aren’t aimed directly at me– but indirectly, they are! I want to be indignant and upset and mad and frustrated (and I am … and have even spouted off on Twitter about it a little), but I also want to acknowledge that I’m new to this. Yes, I’ve been writing my whole life, but not professionally. My first book comes out in just over a week, and I’m working on a second one. I’m at the starting line. This would not be the first time that I’ve vocally disagreed with something that I later come to embrace. Which is why I’m being hesitant. I could see myself eating my words in ten years. Because I’m hasty and an amateur. But GOSH, does it bother me to have people that I respect slam my writing process! It’s so very hard to have an author I admire essentially prescribe the right way to write. Yes, a pantser probably has a lot more rounds of revisions– but I’d hope that the final product masks that. Yet, this author says that a well-thought-out perfect sentence on the front end will always be better than a multiple-times-revised sentence. I just can’t win. I’m cranky and tremendously emotional, and I feel snubbed by the profession in more ways than one. Oh, and I forgot to take my OCD meds yesterday, which I’m sure doesn’t help things. I’ve said it before, and I’m sure I’ll say it again: I thought getting the book deal would be the hardest part of the publication process, but that’s not even close. The revisions were so much harder and the emotions are a BEAST. Sometimes I’m not sure I’ll ever figure out the writing life– or how to toughen up my skin enough to make it in this field I love. I never imagined that a week away from publishing my debut novel I would feel so sad and alone and scared and bedridden. Sigh. And I need to revise novel #2 today. It’s okay. I chose this life, and I honestly do love it. I can’t imagine not being a writer. It is one of the sweetest joys I’ve ever been allowed– a reason I believe in God!– but oh, is it ever hard. Jackie, be kind to yourself. Writing is a long, arduous, difficult, but rewarding process, and almost nothing comes to you easily. You have to fight for it all, and you do that by showing up, day after day, sitting down, and doing hard work. You eat an elephant one bite at a time, and to be honest, it’s probably irrelevant where you start: toes, ears, tail. Bring salt. But really, salt is prayer, friends, and courage that looks an awful lot like fear. It’s easy to confuse the two, but courage is fear that keeps showing up to work. You can do that. It will look different on different days, and that is perfectly fine. Please remember that you love this. 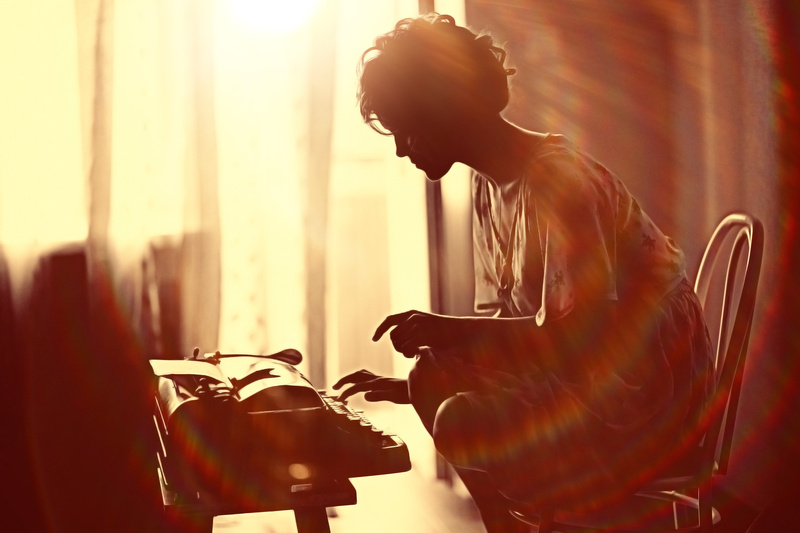 The writing life is a mysterious amalgam of your choosing it and its choosing you. That feels almost holy. This process necessitates many steps backward. It’s an inherent part of the journey, and that means that even steps backward are steps forward. And that fits with your worldview too, you know: all things working for good. Keep your hands and heart and mind open to grace, which is more abundant than you ever seem to realize. And find the joy in this journey. Please. There is so much there, and sometimes you let fears and doubts scream so loudly that you can’t hear the laughter. Listen for it. Be gentle with yourself. You’re not alone. Not ever. Image credit: I think the image of the giant elephant in the sea is from the cover of an Explosions in the Sky album. It was so perfect that I had to use it. Sooooooooo … I had a bit of a breakdown last night. I’m not quite sure how to classify it: Mental breakdown? Nervous breakdown? Emotional breakdown? Manic episode? Whatever it was, it was wild and rollicking and high-pitched and ugly. It was not, however, connected to OCD. So, there’s a victory. It was connected to my next novel. 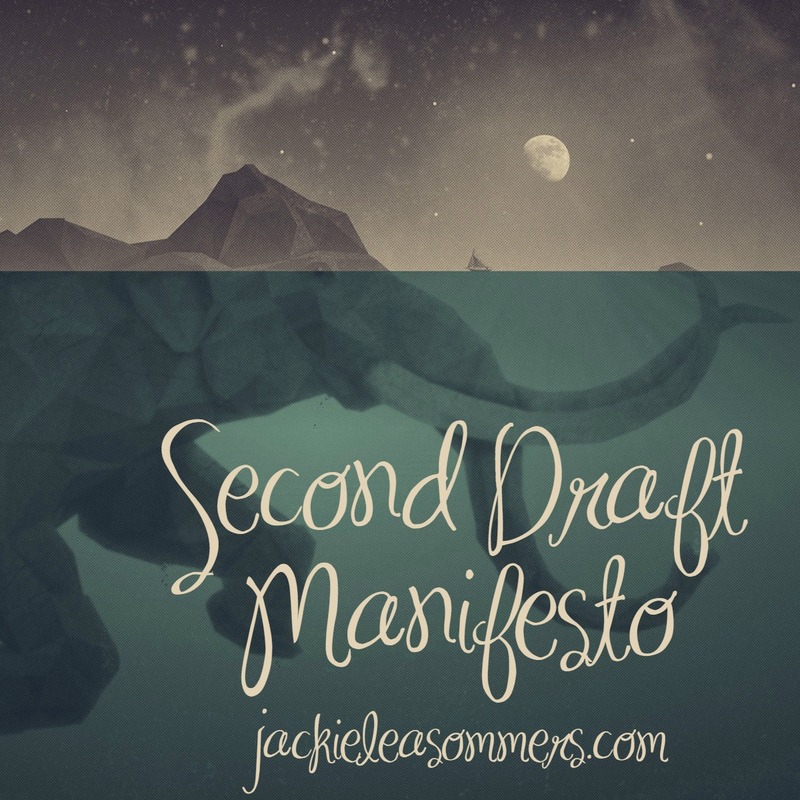 I have a first draft but it’s terrifically first-drafty, with so much work needed that it feels insurmountable. When you see my post about “showing up” later this week, you’ll think I’m a hypocrite, but yesterday, it really felt like staring at an elephant that was so big it filled my viewfinder. And there I was, holding a fork, with the instructions to start eating. Where do you start? In addition, there are some very dear people in my life who are dealing with health concerns right now, so worrying about a revision felt like complaining about a stubbed toe in contrast with their much larger concerns. I felt wildly overwhelmed and terribly selfish and utterly alone in the world. I sent out a call for help to my team, and received many texts and phone calls, proving how not alone I am. Des even invited me over to her place (two buildings over), so I spent a couple hours with her, calming down from the fever-pitch wildness of my night. So, what do I need to tell myself? I have my First Draft Manifesto. I think I need a Second Draft one too. It would say this: Jackie, be kind to yourself. Writing is a long, arduous, difficult, but rewarding process, and almost nothing comes to you easily. You have to fight for it all, and you do that by showing up, day after day, sitting down, and doing hard work. You eat an elephant one bite at a time, and to be honest, it’s probably irrelevant where you start: toes, ears, tail. Bring salt. So there’s that. Thank you for letting me sit down and process this with you, dear blog readers. Any encouragement you’d like to leave in the comments section will be gobbled up like it’s a Thanksgiving feast. By the way, I made the decision last night to spend Thanksgiving alone, back up in Duluth, attending to my story. I feel good about it.